This piece of work was made in Ghana from wood. Its main purpose is to promote the culture of education and therefore can be used as an award during education ceremonies and other events. EDUCATION HAS NO END WITH STAND (A Sitting Reading Shadow). This marvelous piece of work was design by K Asante in Ghana. Indeed education has no end, no matter how long you live on earth, the number of schools you attend, the number of books you read, you may luck something in live which at some point may come us a necessity for you to educate yourself. 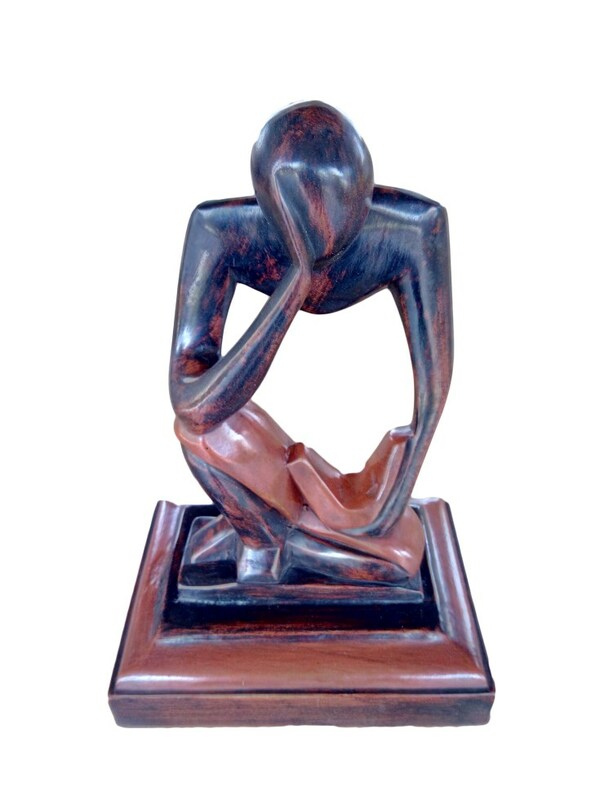 Education has no end is a handmade carve handicraft from durable non-harmful tropical wood. Is a sitting black shadow with a brownish color book made wood on it laps. This wonderful piece of work has a width of 5inches, a length of 7 inches, a height of 11 inches and one kilogram weight. This piece of work comes with a stand which can be presented as an award for schools and college’s education, seminars, conferences etc.